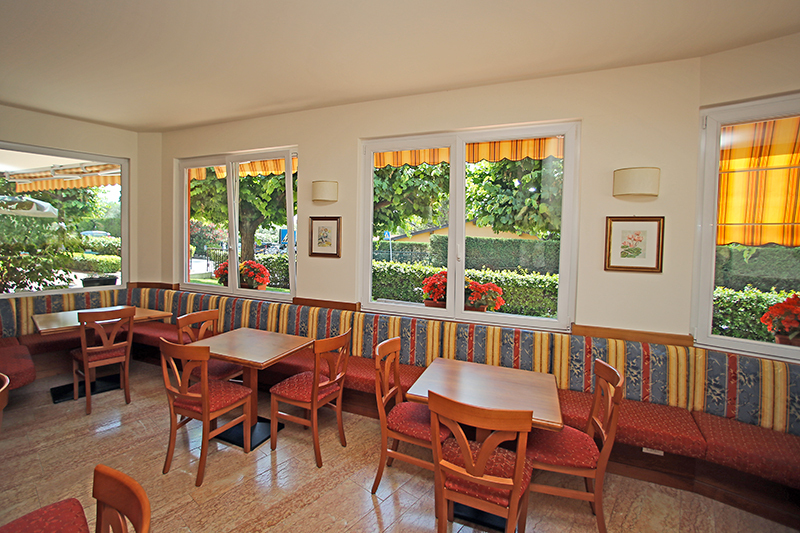 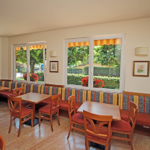 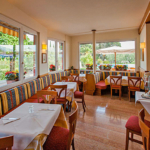 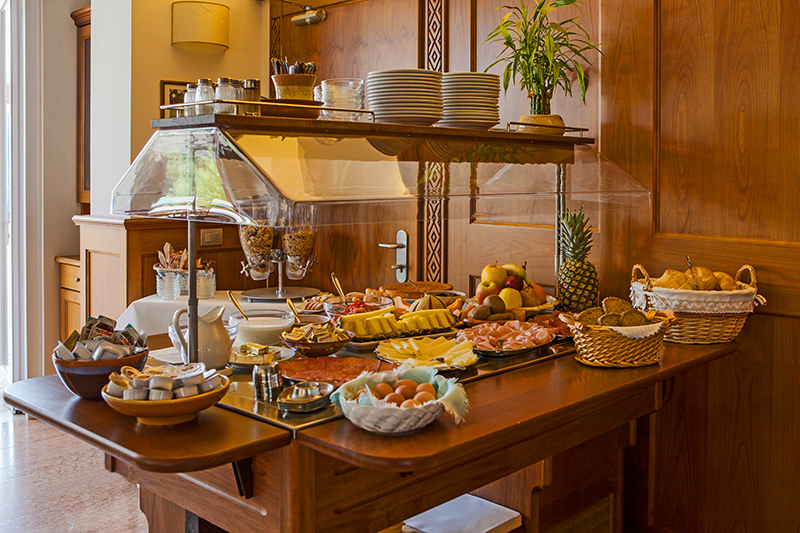 At Hotel San Vito we daily serve a nice and rich breakfast buffet. 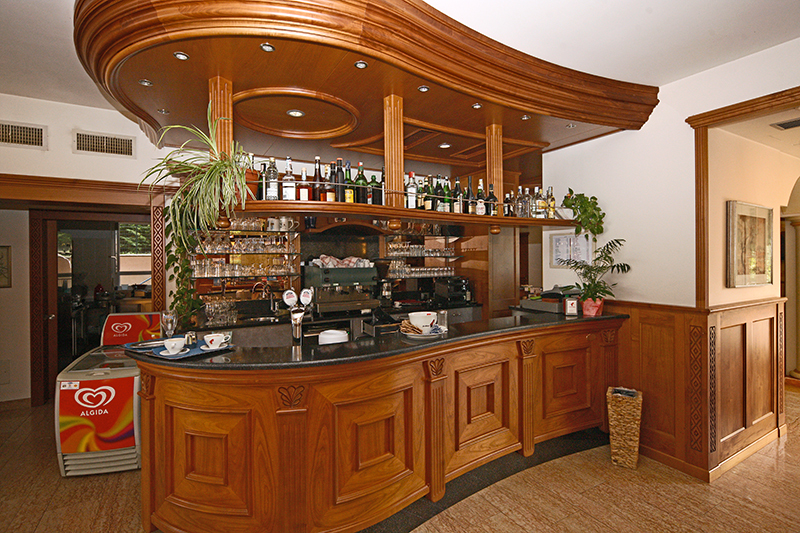 You can choose between fresh bread, milk, tea, juices and yoghurts, various cereals and fresh fruit. 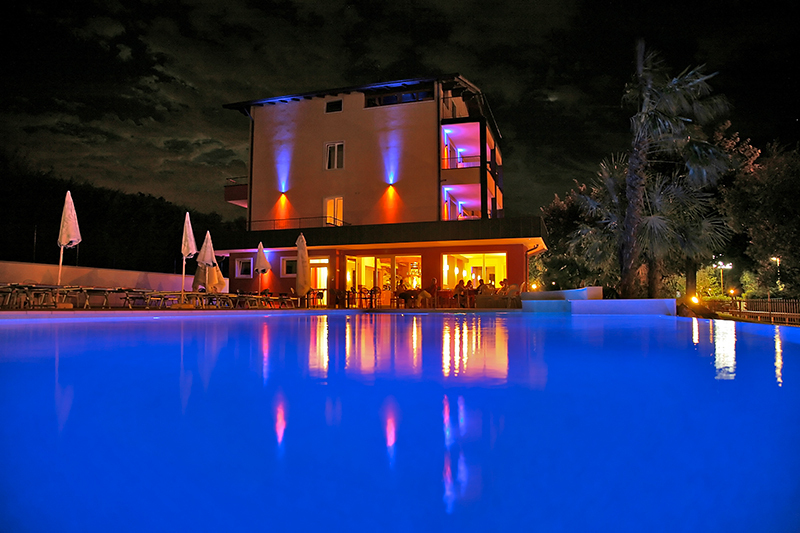 A drink with some friends after an amusing swim, a little snack or some nice moments in refined atmosphere after dinner. 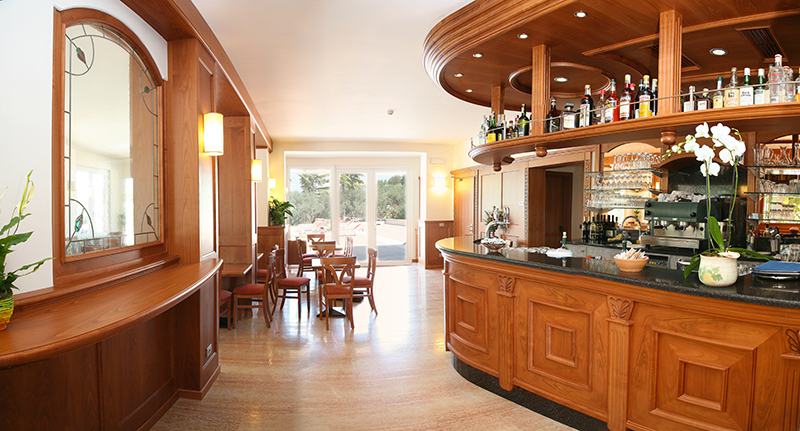 The bar at our swimming pool is opened from 10 am to 11 pm. 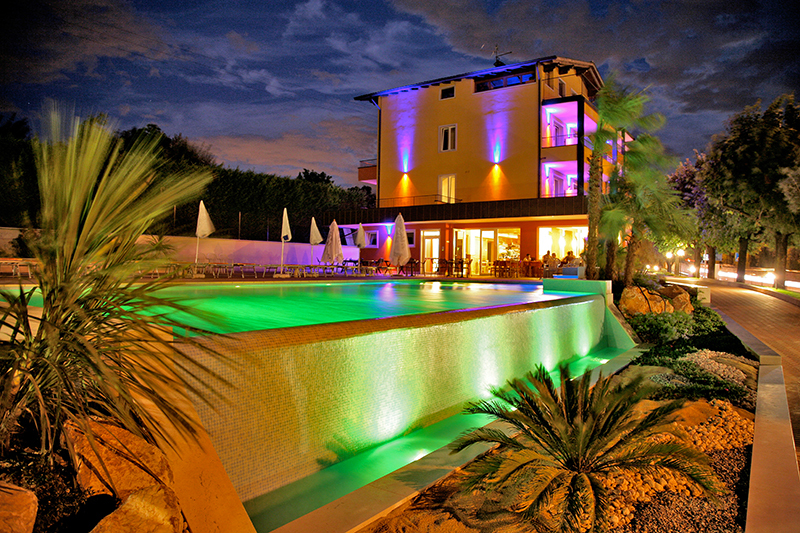 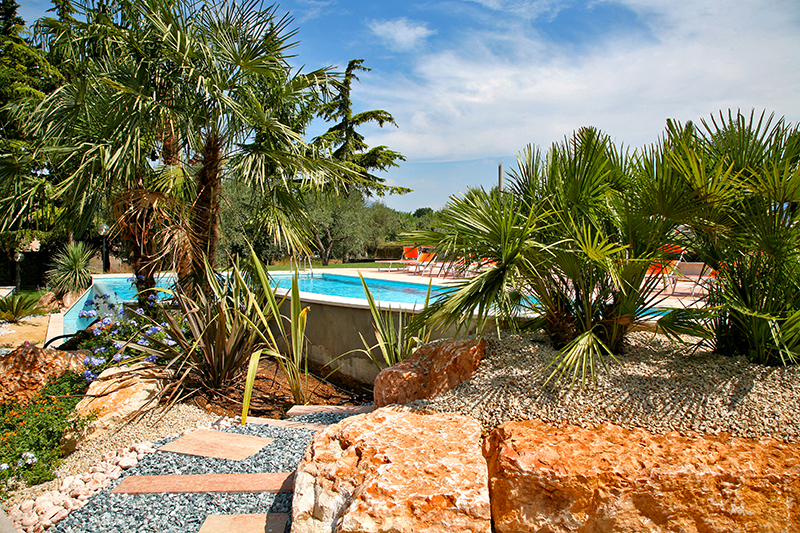 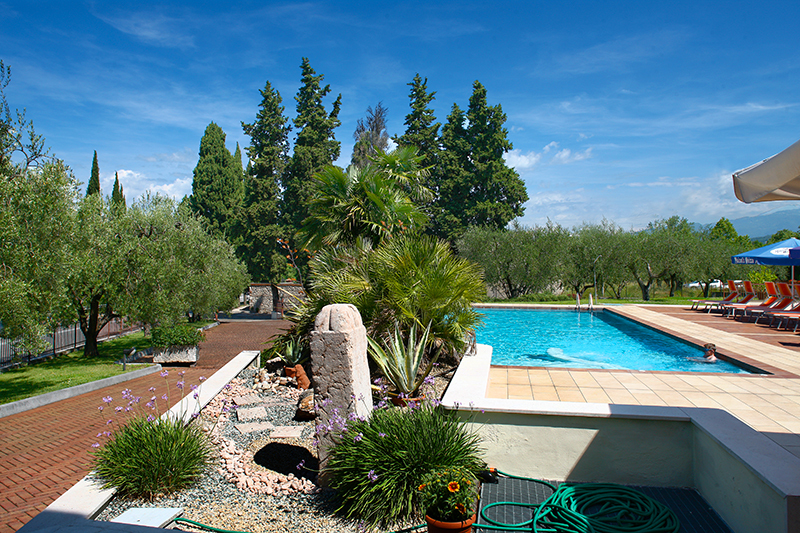 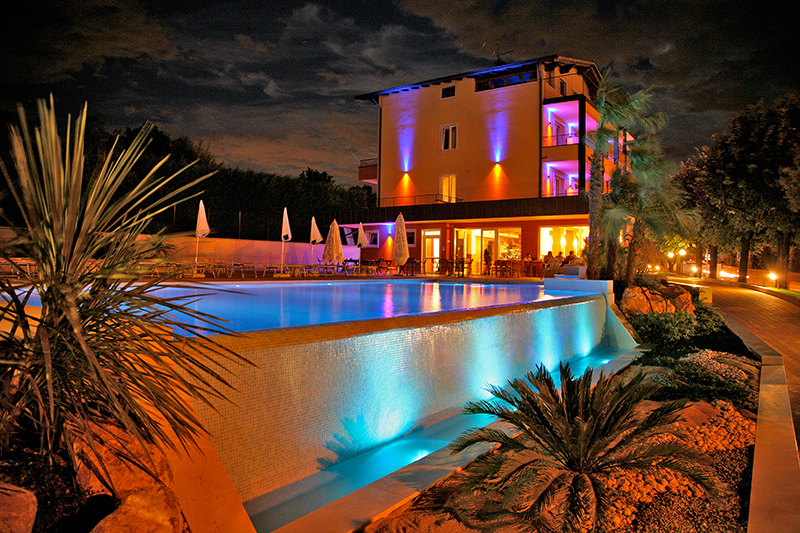 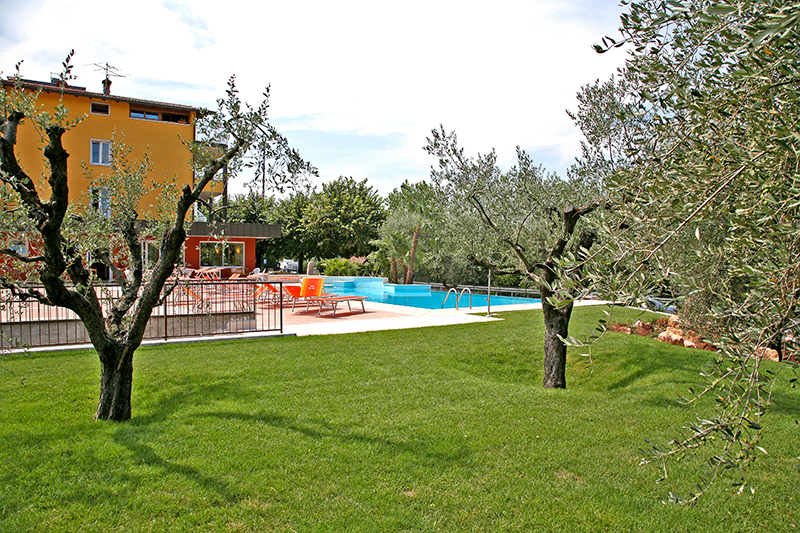 Situated in a central position, our swimming pool is surrounded by beautiful green meadows. 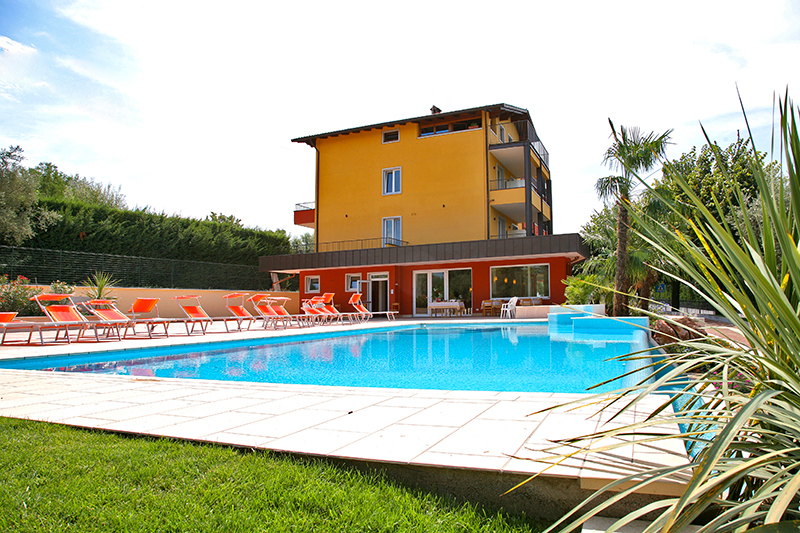 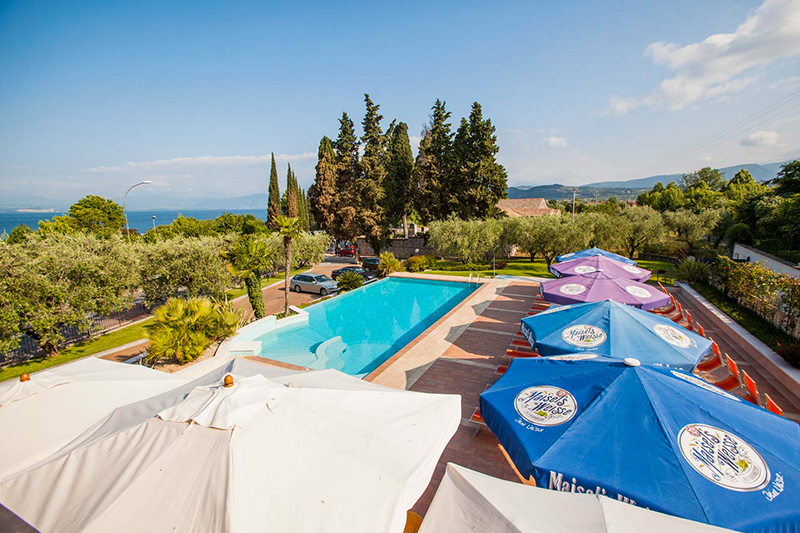 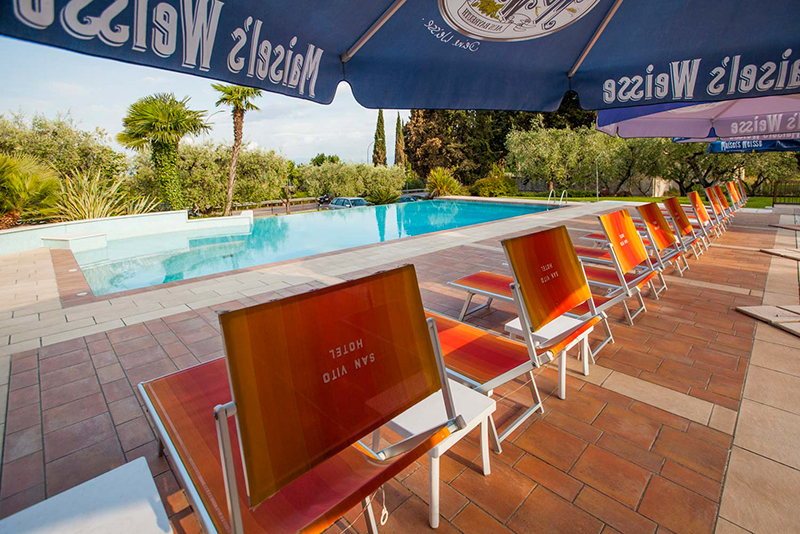 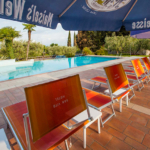 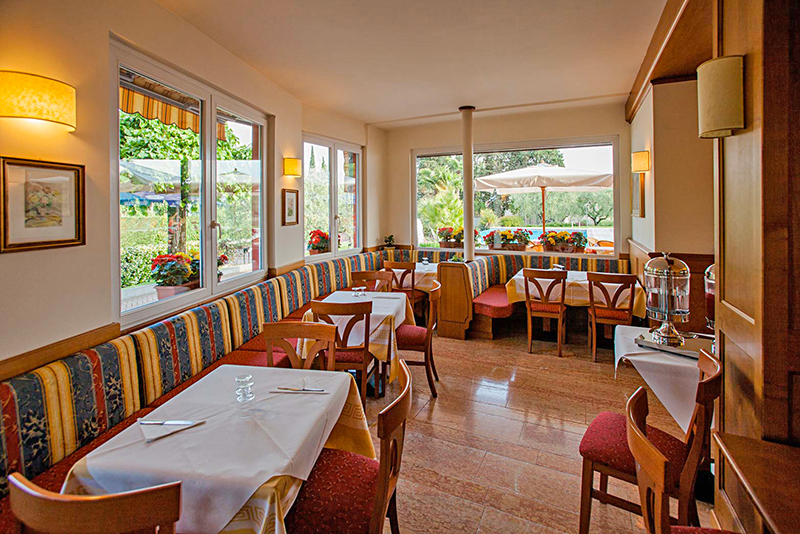 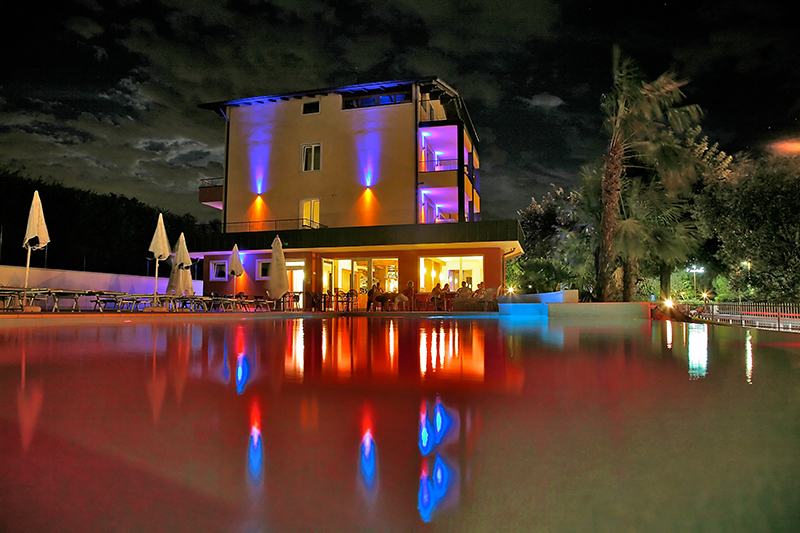 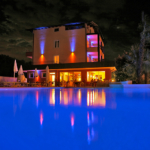 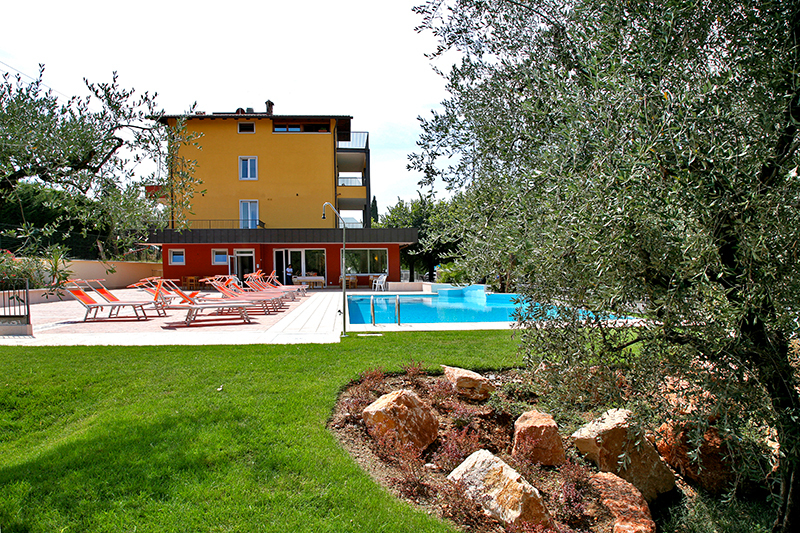 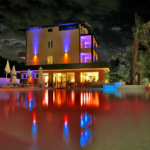 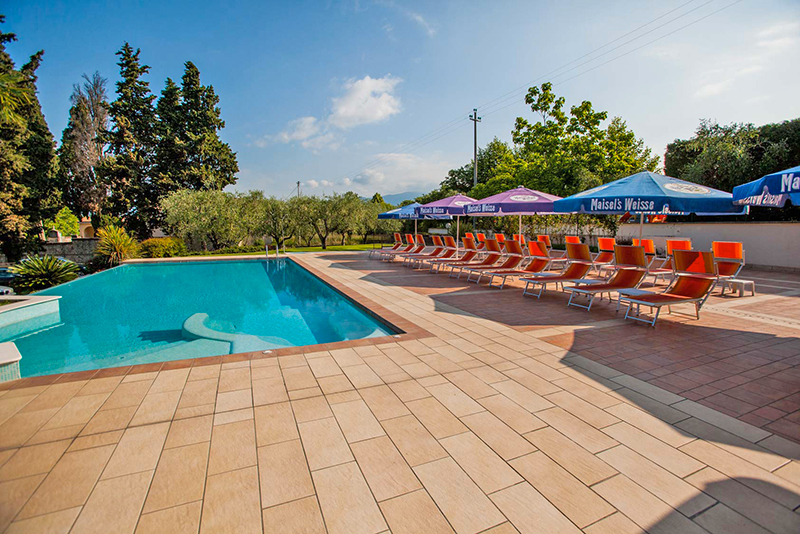 Equipped with deckchairs, chairs and small tables, our swimming pool is the ideal place to relax and enjoy the peaceful atmosphere of the Garda lake. 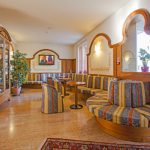 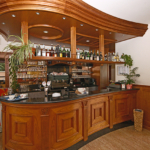 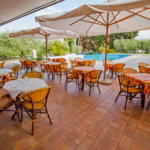 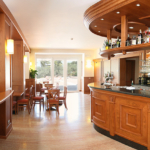 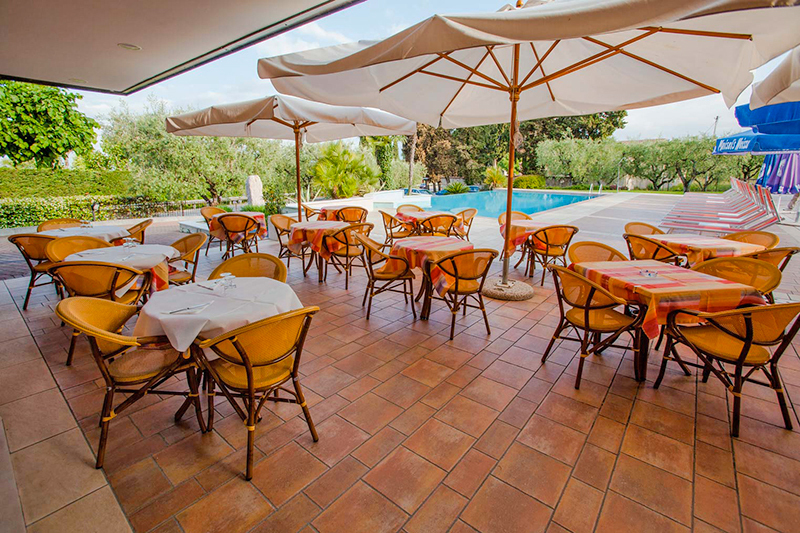 Opened from 10 am to 11 pm, our bar at the swimming pool of the Hotel San Vito will spoil you with tasty snacks and excellent cocktails. 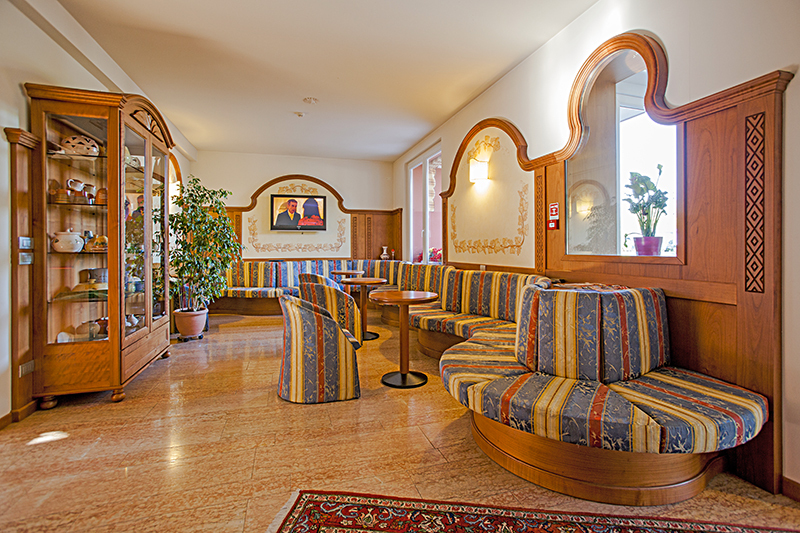 Each guest of the Hotel San Vito has the possibility to leave the car in his private parking place. 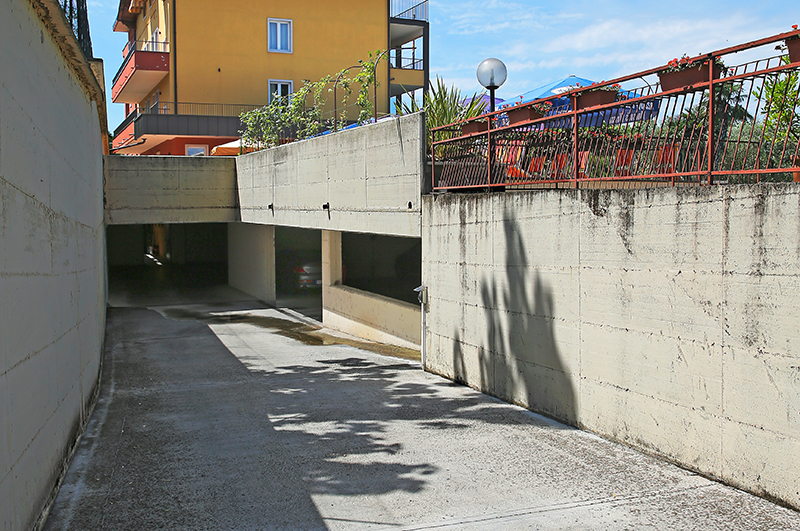 Enjoy a nice hike in our beautiful surroundings, while your car is completely safe in our garage. 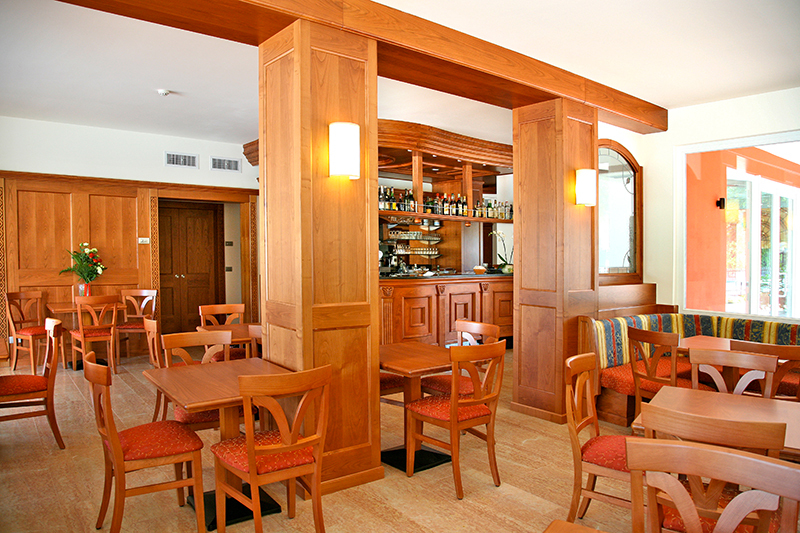 Free access 24 hours a day.